Out of all the movies nominated for Best Picture at this year’s Academy Awards, Philomena may be the most charming. At first look, you might not expect that. Philomena is the real life story of an Irish woman forced by nuns to give up her infant son to adoption, and her quest 50 years later to find him. 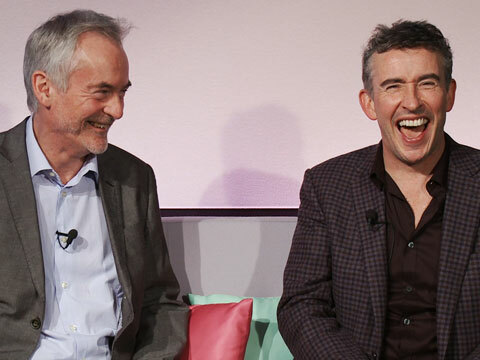 It’s a story full of heartbreak, but screenwriters Steve Coogan and Jeff Pope encase that story in a screenplay full of wit and wry humor. The seriousness of the subject matter is never in doubt, but Pope and Coogan’s humor provides a much needed pressure valve on a heart-wrenching story that could sink into despair in the hands of less capable writers. 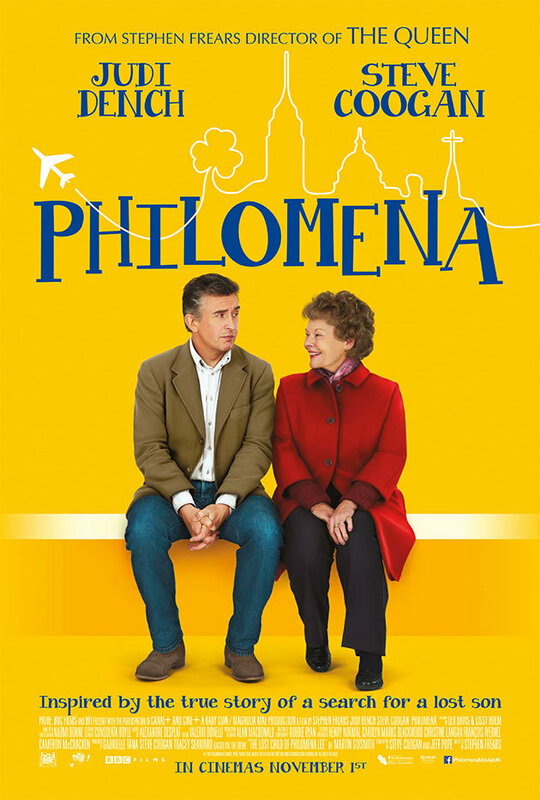 Philomena is my pick for Best Adapted Screenplay at this year’s Academy Awards. Coogan also stars in the movie as Martin Sixsmith, the real life BBC journalist who reported the story that this movie is base on, “The Lost Child on Philomena Lee”. Sixsmith is flawed, but he’s driven. And when it comes time for a reconciliation between the protagonists and the church, it’s Sixsmith that boils over with the outrage felt by probably everyone in the audience over Philomena’s plight. Hint: Forcibly taking her baby and putting him up for adoption is just the first in a list of trespasses by the church against Philomena. The real-life and the on-screen Martin Sixsmith. Dame Judi Dench plays Philomena with a subtle grace. 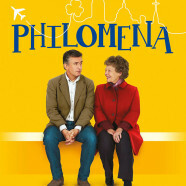 Philomena comes across the way your grandmother probably would if they made a movie about her. As Sixsmith describes her in one scene, she’s like a walking issue of Reader’s Digest. She comes across both intentionally and unintentionally funny, and I can’t decide which scenes I like better. But it’s Philomena’s grace that really comes through when it’s time for a confrontation with the church. The woman has all the reason in the world to be justified in wrath, but instead meets them with compassion. 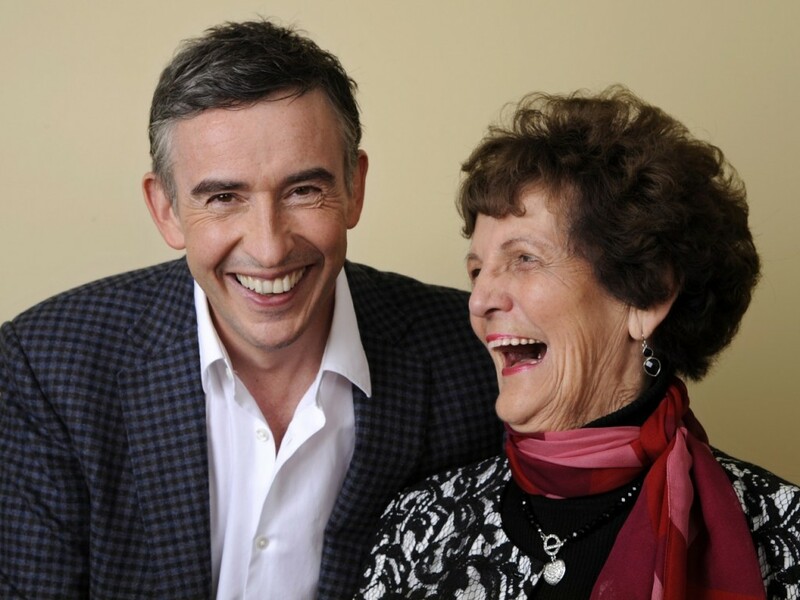 The real-life Philomena Lee and Philomena screenwriter/star Steve Coogan. When I walked into the theater, I was afraid I was walking into a Hotel Rwanda-like assault on my emotions. While parts of Philomena were definitely trying on my emotions, I left the theater with a smile, and the thought that EVERYONE should see this movie. 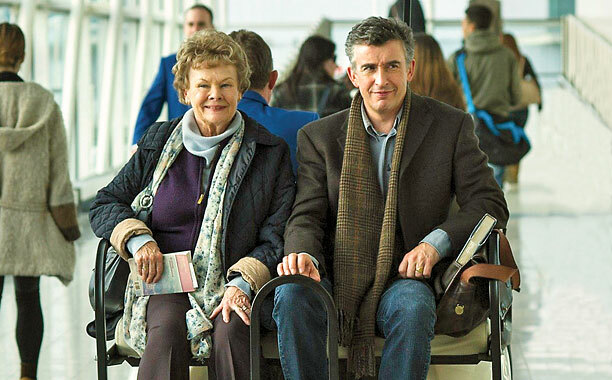 Philomena shines, and is definitely one of the best movies in this year’s class of Oscar nominees.